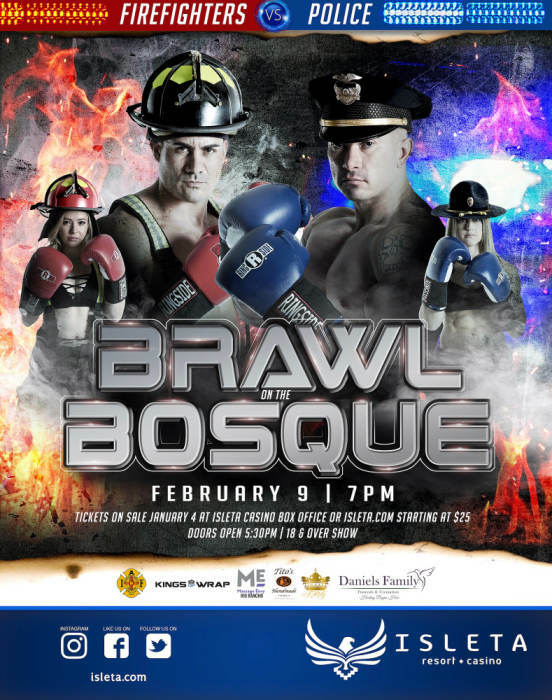 Isleta Resort & Casino in association with the Ten-82 Organization present, "Brawl On The Bosque," live in the all NEW Isleta Casino Showroom on Saturday, February 9, 2019. 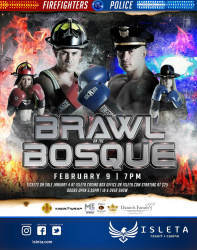 Be there as the toughest Cops and most courageous Firefighters New Mexico has to offer, battle it out in the boxing ring. Tickets for this event start at just $25 and all proceeds go to Ten-82, a non-profit organization helping public servants in times of need. Doors open at 5:30pm and the first bout begins at 7:00pm.